And in this festival of Ladybird loveliness, I find out when the Ladybird Book documentary is due to be screened. For old/vintage Ladybird Book fans out there, this has GOT to be a date for your diary. 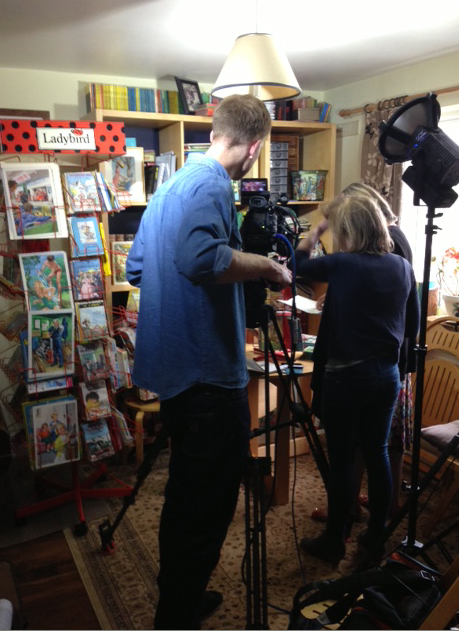 I am confident that the programme-maker, Merryn Threadgould, will do a really good job with this documentary – the first decent length recount of the Ladybird story. With only a few short weeks to make the programme, Merryn quickly became so absorbed in the material she was gathering that she developed what seemed to be a real enthusiasm for the subject. She quickly came to appreciate the different perspectives that the subject matter has to offer: social history, nostalgia, humour, literacy, biography, all tied together in a colourful, crafted, hand-sized box. I believe this programme, part of the Timeshift series on BBC4, will take a chronological approach, tracing the phenomenal rise and fall of the small, private company Wills & Hepworth in Leicestershire, picking out in particular the role of Douglas Keen.